Lowering Kit. Add an exhaust lowering kit to your order if you need to lower your stock pipe. 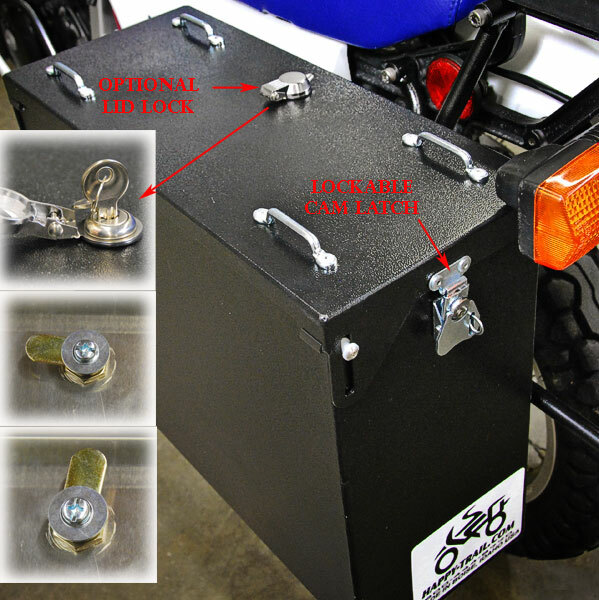 A Low Pipe Pannier Kit mounts directly to a bike that has a low angled profile modification to the stock exhaust and silencer. It will work equally well with any aftermarket pipe that follows the lower route. The advantage of a low angled exhaust profile is that you can mount two regular sized Happy Trails panniers. It eliminates the need for a significant exhaust cut-out on one pannier. Exhaust lowering kit is available below.